The summer officially ended in Issaquah with all the storybook characters from everyone’s favorite classic tales coming to life at Highlands Day 2017 organized by the Highlands Council. This year’s Medieval theme attracted thousands of neighbors, newcomers, and local businesses to enjoy live entertainment, hearty fare, and medieval fun. As a proud member of our Issaquah community, Discovery Dental has been a sponsor of this event for three years. Highlands Day is always the highlight of our summer! We love making new connections with the amazing families and kids in our neighborhood. 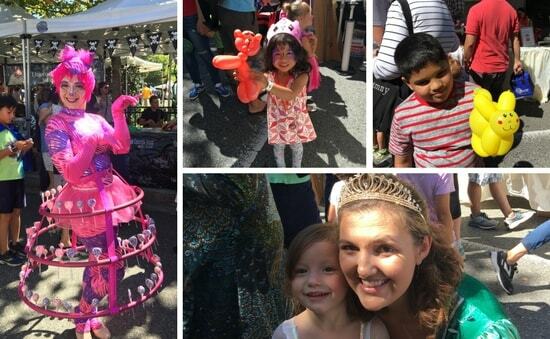 This year we had balloon artists and our very own princess to entertain the whole family. Did you stop by and enter our free giveaway for a Fitbit? Check our Facebook page to see if you were the lucky winner! 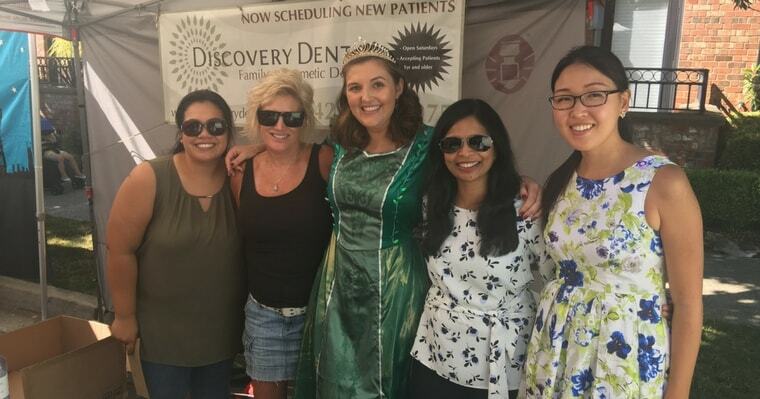 All the kids had fun at the Discovery Dental booth and loved their balloon art! Looking For an Issaquah Highlands Dentist? Was this your first summer in Issaquah? Maybe you came to Highlands Day looking for a new dentist, chiropractor, massage therapist or doctor. We know how overwhelming it can be to choose! And we know you want the best care for your family. She is committed to protecting the overall health of your family. By recognizing the connection between dental health and overall health, Dr. Vanama can diagnose and treat conditions that other dentists may not catch. She is ready when you are! Discovery Dental is open convenient hours: before and after work, evenings and even Saturdays! Worried about dental emergencies? She offers same-day emergency appointments. She uses the latest, advanced dental technology. For example, we use iTero® 3D Scanner for digital impressions. No more messy, gag-inducing impressions! We offer sedation dentistry options for those who have anxiety when visiting the dentist. She offers convenient payment options. Dr. Vanama is a preferred provider with all major insurances and provides flexible financing options. If you don’t have insurance, don’t worry! Ask us about our Discovery Dental Member Program (for non-insurance patients). Need more reasons? See what our happy clients have to say! *For new patients only with exam, x-rays, and cleaning. Subject to availability. Limit 2 cards per family. Your choice of gift card from Costco, Target or Dental Dollars. †For new patients age 18+ years only. Valid after exam, x-rays & cleaning. Subject to availability. ‡For new or existing patients who qualify. Subject to availability. We hope you were one of the lords and ladies who celebrated with us at Highlands Day 2017! If not, we hope to see you there next year to make new friends, research local businesses, and have fun! We are honored to serve our community and hope you pledge your allegiance to Dr. Vanama as your dental provider in Issaquah.